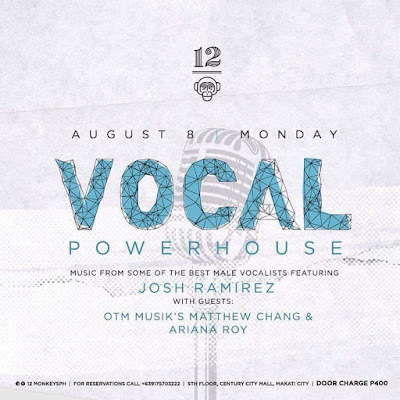 Vocal PowerHouse featuring Josh Ramirez happening on August 8, 2016 (Monday) at 7:00PM at 12 Monkeys Music Hall & Pub. The show will showcase the music of some of the world's best male vocalists, including music by Stevie Wonder, Michael Buble, John Legend, Josh Groban, Aerosmith, etc. 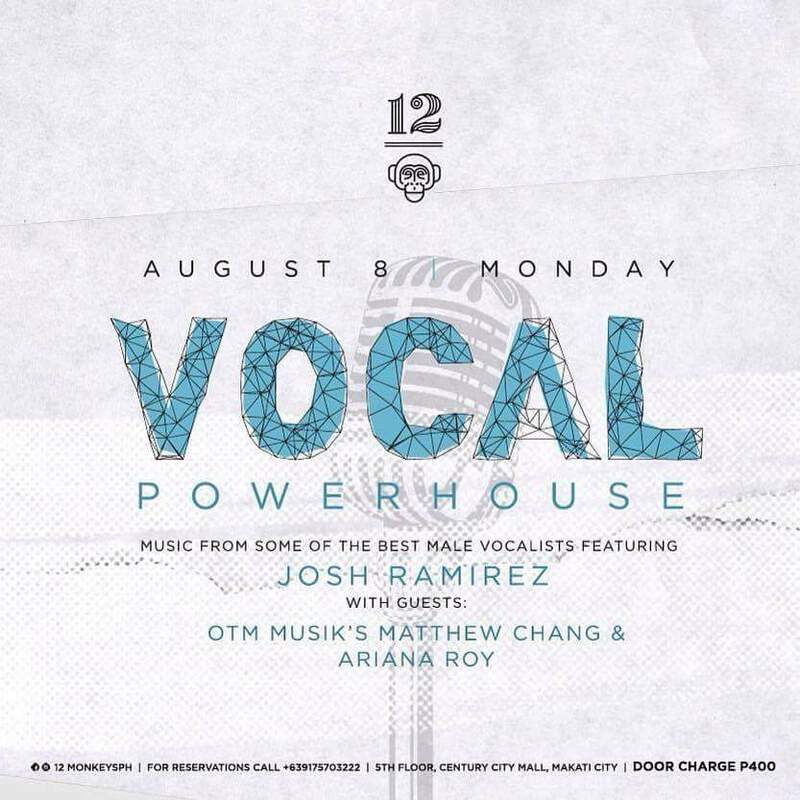 With Guest Artists OTM Musik's Matthew Chang and Ariana Roy (Daughter of Pinoy Rock Legend Karl Roy).